Yoga provides a practice and set of techniques to develop skills to living a more balanced, and fulfilling life. When body, mind, emotions and spirit are in harmony we are free from disease, stress and worries of life. "Yogaschitta vritti nirodhah"- Patanjali Yoga Sutras. 1.2. 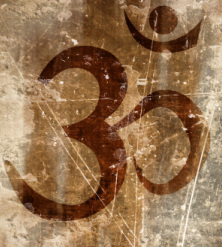 Yoga is the stilling of the fluctuations of the thought-waves of the mind. The aim of yoga is to realise that we are all connected, we all share one heart, one consciousness, and one Divine source. The practice of yoga takes us on a journey through the different levels of our being, providing experiences to help us connect to the Divinity within. Consciousness, awareness and breath are vital for a moving mindful meditation in practice. Through the practice of Pranayama (breathing exercises), the mind is brought to a state of stillness.. withdrawing from external influences to the stillness of the inner world. When we can really connect to the inner world, we feel total peace, harmony, balance and well being. Breathing exercises purify the respiratory system, build a vast store house of energy, reducing stress, balancing hormones and bringing clarity and peace of mind. 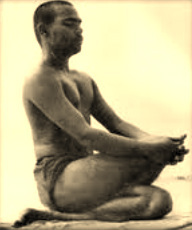 The essential order of practice begins with Pranayama (breathing exercises), Sun Salutations to warm up, followed by a sequence of postures (asanas), which follow in order of the chakra system (energy centres), the endocrine system (glands) and in order of the spine, ensuring the movement of the spine follows a systematic order so as one posture complements the other (e.g. a backward bend follows a forward bend). This powerful, complete practice develops strength, flexibility, vitality and balance. Each individual is guided to be in the stillness of the present, without expectation, ego or a competitive attitude.... you don't have to be flexible to practice yoga! Flexibility is a side effect of the practice. As individuals we listen to the wisdom of our body and to how we feel each time we step onto the mat, each day will bring a different experience. As we progress in practice and purification, naturally we develop the heart and feelings of love and compassion... developing an affinity with all beings and conscious awareness of preserving peace and protecting all living beings, nature and the planet. We begin to remove the veil of darkness which obscures us from seeing our own true potential, the light of divinity, wisdom and truth reveals itself. We awaken the consciousness that is all pervading, truthful, blissful and inherent within us all.